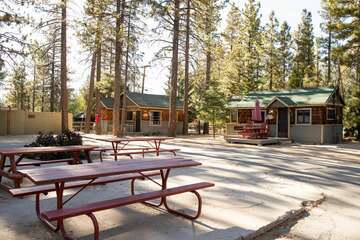 Formerly known as Moonridge Animal Park, the Big Bear Alpine Zoo got its start all the way back in 1959 as a haven for injured and sick animals. Today, at least 90 percent of the animals who are healed here are successfully released back into nature, with the remaining 10 percent happily living out their days in harmony and peace on land owned by San Bernardino County. 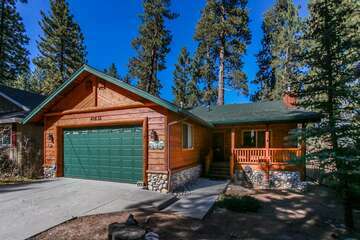 Located at 43286 Goldmine Drive, right across the street from Big Bear Mountain Ski Resort, vacation days spent exploring the acreage of this animal sanctuary/zoo are destined to be memorable ones! In 1959, a devastating forest fire destroyed a good portion of San Bernardino National Forest, injuring many animals and taking away the homes of others. We Californians love our animals and immediately responded by setting up a temporary hospital for the wounded beasts, including a baby black bear and two bobcats who were the first animals to make their homes here. In the 60s, Moonridge Zoo, as it was known then, grew, as did the need for an animal sanctuary. Deers, tigers, bears, cougars, and all manner of wildlife made their way to the doors of the zoo by many different methods. Some were rescued from injury, some abandoned by people who didn’t understand the complexity involved in owning wild animals, and some were movie star tenants, their owner’s renting a place for them to live between acting gigs. Today, Big Bear Alpine Zoo is outgrowing its home, and as of May 24th, groundbreaking has been begun on the new zoo—one that will be better suited to the needs of its wildlife inhabitants. The creatures that live in the Big Bear Alpine Zoo range from the American badger to the wolf and everything in between. Some have found their forever homes, unable to survive out in the wild, while some are rehabilitated and only stay long enough to recuperate from their wounds and injuries before being released back to the wild; the zoo’s goal is to rehabilitate and release as much as possible. While you are not permitted to hold or personally interact with any of the animals on the Alpine Zoo Big Bear property, every day at noon, one special animal is brought to the amphitheater, where our keeper educates and explains all there is to know about the “star of the day.” Like any other zoo, however, you can view all the animals in their habitats as you explore our favorite spot on earth. 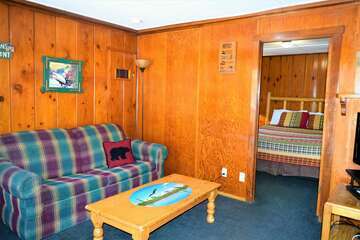 Book your rustic and romantic Big Bear Cabin today and discover the wild side of life in Big Bear, California. Exciting times await you!